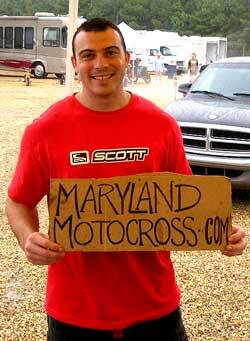 MM: Hi Jeff, I’m from Marylandmotocross.com, got time for a quick interview? building and we’re trying to get out. MM: Oh, that’s not good. I’ll call you later. MM: What happened earlier with the fire alarm? MM: Oh good, I guess, we’ll jump right to the interview then, so is there any meaning behind the number 735? JS: No, it’s just my first 125 number. There’[s no real meaning behind it other than that. MM: How old are you and how long have you been MXing? JS: I am now 25. 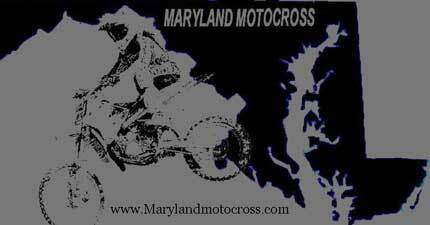 I’ve been racing motocross for 12 years. I took off to go to college between 96’ and 99’. MM: What kind of bike do you ride? JS: At this time I ride a Honda CR 450. MM: Rumor has it that you recently began training at an uber-secret track, can you tell me where it is? JS: (Laughing) Ha-ha. That’s a negative. Cause the track that we have is closed to everyone else and is for our particular training. MM: What if I gave you 20 bucks? JS: Nah… I can’t do it. MM: How bout a picture of Kevin Duffy in his underwear and black socks? JS: (Laughing harder) Haaaahh! No. Duff’s kewl, but no way. So I hear you do MX and work a full time job, that must make it difficult for you? MM: Wow, I noticed that you are almost as in shape as I am, any specific training regiment you follow? JS: Not really. Just trying to do what Carmichael and Stewart do. You ride. Do cardio. And exercise. MM: Kewl, ever had any injuries? JS: Ah, just one… I recently broke my leg this past October and they had to pin and plate it, so I’m stuck with pins for life. 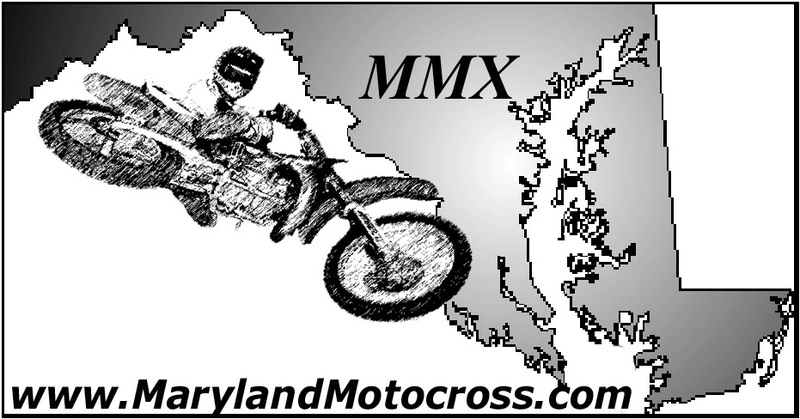 MM: Any advice to anyone new to MX? JS: Give it your all. Do it for the fun of the sport. It’s a lot of fun. MM: Name one word that describes yourself on the track. MM: Any favorite brands that you prefer in MX? JS: Riding Gear: I like Thor, they’ve been helping me out this year Bikes: Honda. Definitely. All the way. MM: With all those superhero movies coming out, it’s only a matter of time before the Captain M movie comes out, would you be interested in playing him if the part were offered to you? JS: Captain M. Yes sir – I could play Captain M.
MM: Do you prop your bike using a stand or a crate? MM: Over a crate, why? The crate’s kinda cool looking. JS: (Laughing) Um… I got the stands for free, (Laugh) but if I got a crate for free I’d use it too. MM: What would you say is the most important thing to focus on in MX? JS: I would say the start. JS: (Waiting for about 10 seconds) What’s that? JS: I think you broke up. MM: Did I? Oh sorry. I forgot what I was going to ask… Moving on… anything about MX you don’t like or would like to see change? JS: Just to see it continue growing. I really, really enjoy the sport, I’d like to see more people get involved. Maybe families getting their kids more involved. The sport is great. MM: The other day I came to the track, went through the gate and some lady sent her posse over to get me, I mean they rolled up on me knee-deep, precision Navy SEAL style and demanded money- I’ve never been mugged on a track before - that ever happen to you? MM: That was your mother?! JS: (Laugh) Uhh… yeah…My mom works the gate at M.A.M.A.’s, and she’s uh… she’s preeetttty strict about it and doesn’t let anyone slip through the cracks. MM: She’s got a meeeeaaaan headlock man. MM: Yeah but you gotta admit, when she zapped me with the taser gun after throwing me to the ground, it was a bit too much I’d say. JS: (Laughing) Yeah… you should try living with her. Well, thank you for your time, hope to see you on the track,. and congratulations on you’re 1st place finish in your last race. JS: Thanks man, I appreciate it, I’m going to race again this weekend and hopefully get to the Nationals. MM: Sweet. See you around and congratulations once again.